Summer is slipping away which means there are only a few more weeks to grab a bit at the famous Red Hook Ball Fields (open Saturday and Sundays). If that's not enough, today is the last day for a promotion at the Ikea in Red Hook: kid's eat for free! Parents can choose any 3 kid sized items to create a free meal for their little ones. 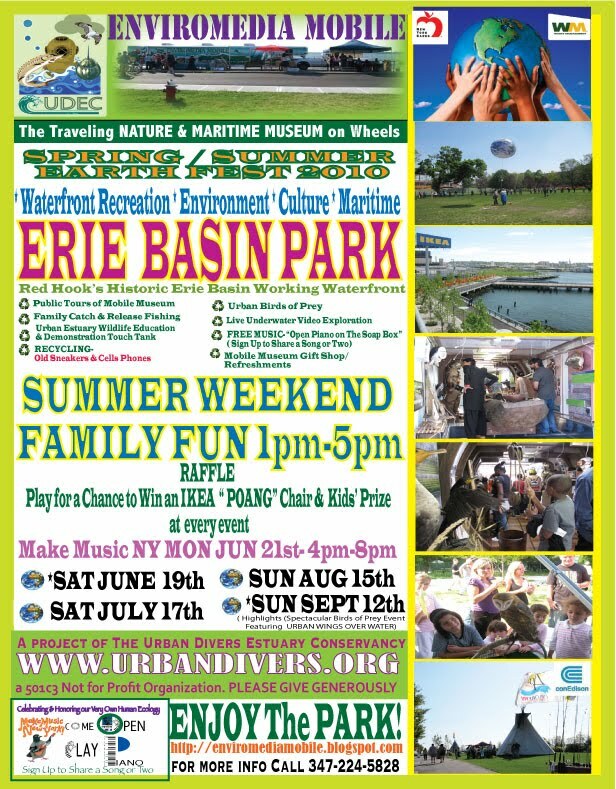 And finally, today happens to be when Summer Earthfest 2010 is taking place at Erie Basin Park -- right next to Ikea. At the eco-museum on wheels you can look through a solor telescope and participate in a live underwater video exploration. The event takes place from 1PM-5PM. And did you know you can take a free water taxi to get there?